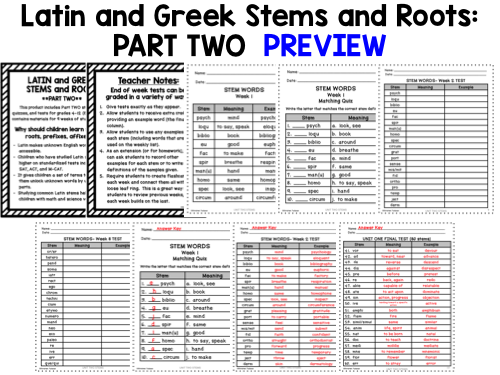 This Latin and Greek stems and roots UNIT ONE AND UNIT TWO bundle is designed with weekly lists (10 words on each list for eight weeks), a mid-week matching quiz, as well as an end of week test (which is progressive and includes stems from prior weeks). The test at the end of each week has 20-word parts (except the first week only has 10 because there isn’t an established pool to pull additional parts yet). For the ninth week, there is a final test with all 80-word stems/roots. These files now come with an option for GOOGLE CLASSROOM! Since each week builds on the previous week, the retention of information remains high. As an added activity, my own students keep a ring with flashcards on them in their desks/backpacks and will add ten new stems each week, so that they can study ALL the stems each week, not just the new ones for that week. This file is the FIRST UNIT AND THE SECOND UNIT. This product contains two PDF files. Each Unit has 8 weeks of new words with an additional week to review and test. 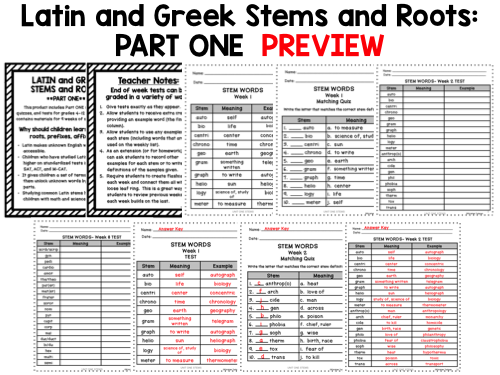 This file includes the layout and structure for 18 weeks of Latin and Greek stems and roots. Why should students learn to use Latin and Greek stems and roots? 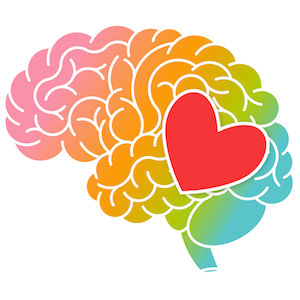 Studying common Latin stems helps children with math and science vocabularyNOTE: THESE FILES NOW INCLUDE A DIGITAL OPTION! As of 4/7/19, these products include a digital option (as well as the no prep printable option). The instructions for utilizing the digital portion appear at the end of each packet from pages 53-61. 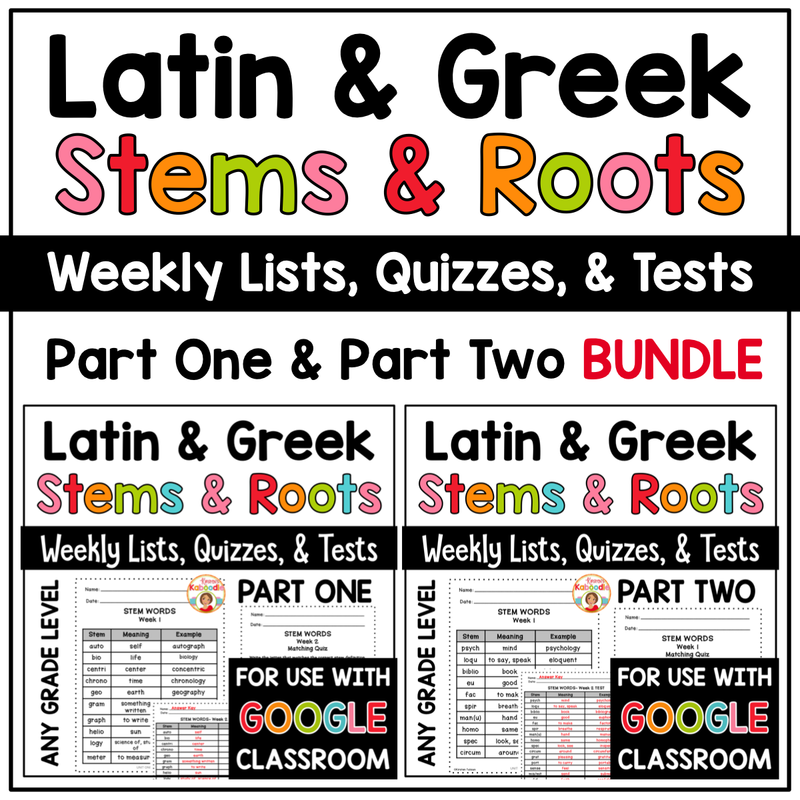 These Latin and Greek Stems and Roots can be used with iPads, chrome books, laptops, and desktops as long as your students have access to Google Drive or Classroom on a device. The digital portion of this product is on Google Slides and Google Forms. This file contains 124 pages.